After coming across an article about the time Matt Murdock became an agent of SHIELD, I was thinking about an assortment based on Marvel's "What if...?" title. 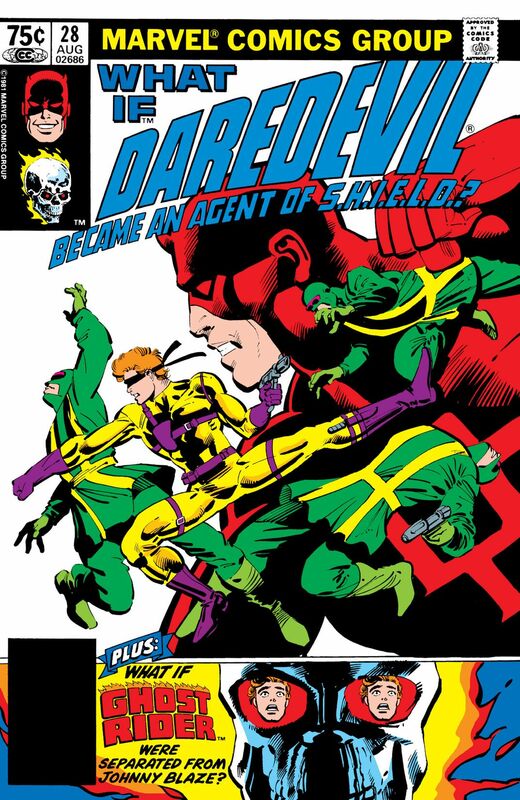 Some of the costume variants are a little confusing (Daredevil's was purple and yellow on the cover but purple and blue in the pages). 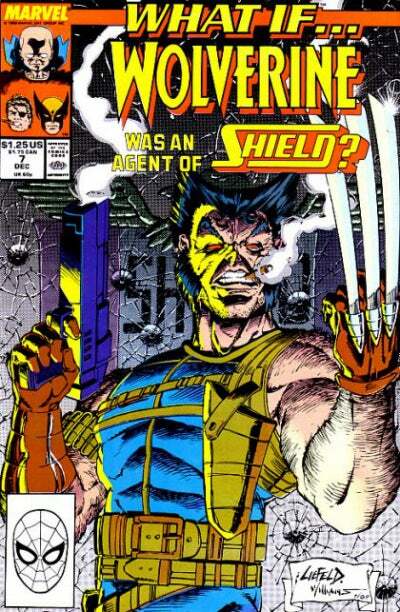 But even Wolverine was an agent of SHIELD. So was Frank Castle. 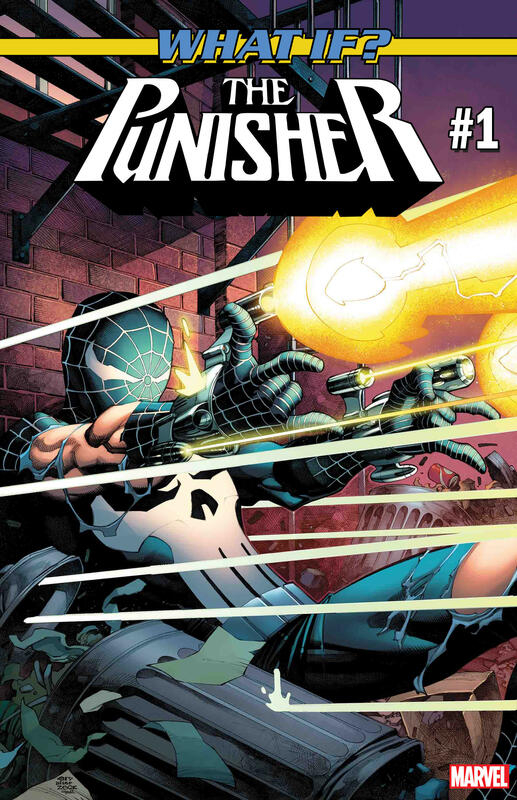 How about Peter Parker as the Punisher? Or Jane Foster as Thordis? Or The Watcher cosplaying Marilyn Monroe?! It might be an interesting comic-based wave. 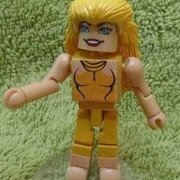 What if we could actually buy Walgreens minimates online ? A 'What if.....' would be a great idea for a wave. Are you stealing my social media plan?!? Lol I have been working on a series of what ifs... for Instagram! I really, really like the idea of a What If wave. Some of my favorite stories back in the day were the ones introduced by the Watcher. Would definitely be a fun wave. I’d be more inerested in the Amalgam characters. Pretty sure the rights are messy as hell but it would be a fun series. I honestly had no idea about 'Amalgam' until I googled it .....they'd be a great idea but ....licensing ? Before Disney we might have had a chance at an official DC/Marvel toy crossover. Licensing is the reason Amalgam Minimates would be more likely offered by Luke as customs. Sorry! Looking at the costumes there are plenty that could probably be QCs but then I thought, hey, these are popular characters. Why not an official assortment? You mean like Spider-Man Noir, Joe Fixit Hulk, and "Patch" Wolverine? The "What If...?" concept fits the Minimates mix & match play pattern perfectly. But it doesn't mean they'd be interesting to buyers, and I say that as someone who has put together at least one What If? custom. There are definitely some I would buy but many more I would pass on. Do you mean interesting to retail buyers or end consumers (us)? Because it looks like retail buyers will stock anything with Marvel's most popular characters in the mix, even if they're ridiculously adorned and barely recognizable. I mean, we've gotten two WWII Wolverines. Both are generic soldier bodies with Logan's noggin and popped bone claws. In this context it might as well be "What If GI Joe was a MUTANT?" For the most part, I'd really only be into this idea if it enabled us to get more legitimate costumes. That wouldn't be a terrible compromise. No pun intended but what if the build-a-figure in the next wave was a "What If...?" character? Off the top of my head there was an issue where Rogue ended up as the thunder god that looked pretty cool and there was another where storm got the phoneix force that again was pretty cool. I like the idea. I think it would at least be as interesting to buyers as the whole Avengers BC concept, probably moreso. Marvel Studios is doing a What If...? animated series for Disney+. The big deal with these new Disney+ Marvel shows seems to be that they're coming directly from Marvel Studios, not ABC. IE - bigger budgets, no network constraints, obviously the same faces (and many voices) from the MCU. I always like the "What if..." comics. They were one off stories just to shake things up a little and I found them fun and harmless since they were, by definition, not canon. Fan-boys thinking out loud, if you will. I enjoyed the first two volumes of “What If” immensely. The second volume started to dwindle there near the end but the first 50 issues are gold. Same with all of volume 1. 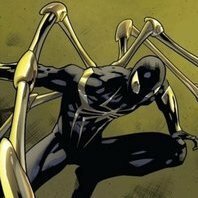 I’d buy a “What If Spider-Man Joined the Fantastic Four” set in a heartbeat.